Elfant Pontz Properties is a multifaceted real estate firm. We develop and manage residential and commercial real estate throughout northwest Philadelphia (more than 600 units in all). We also own and operate Direct Mortgage Loan Company, a private lending company serving real estate developers and investors. We manage a wide range of rental housing from single and multifamily homes to mid size and large apartment communities. Chestnut Hill, Mt. Airy, Germantown, Olney, Oak Lane, Roxborough, Manayunk, and East Falls are just a few of the neighborhoods we serve. Our rental housing comes in many sizes, styles and price ranges. Click here to see what’s currently available. At Elfant Pontz, we take every measure, and then some, to smoothly and successfully lease and/or manage your property. We take the hassle out of owning rental property and maximize your overall profitability. Learn more about our property management services here. 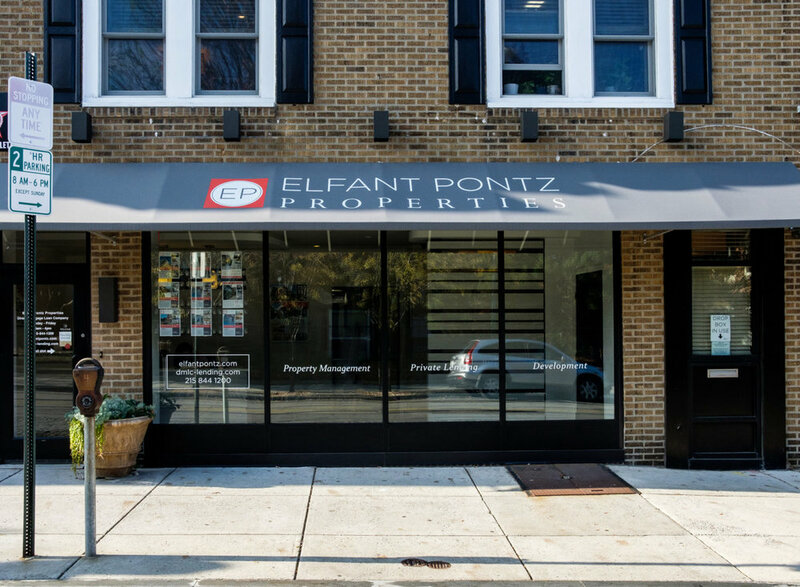 Elfant Pontz also owns and operates Direct Mortgage Loan Company, a private lending company, specializing in short-term fixed-rate financing for real estate developers and investors in Philadelphia and the surrounding areas. Visit dmlc-lending.com to learn more.